The North Atherton Street Farmer’s Market has been in the works for years and, finally, it is a reality. 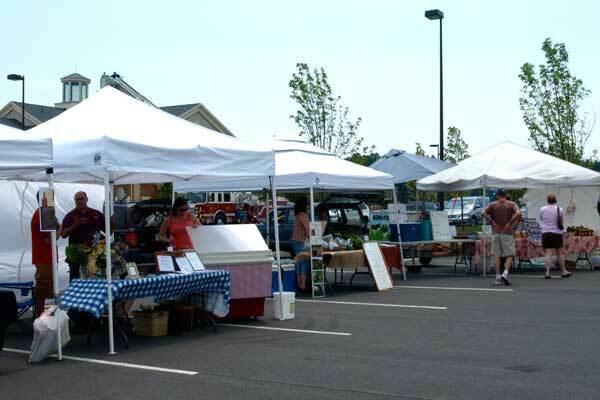 The market provides customers another location (in the Home Depot parking lot) and another day (every Saturday) to buy local foods. This “producers only” market has everything from coffee to muffins to meats to salmon to goat’s milk. Watch the video and meet vendors Jay Young of Young American Growers, Barry Moser of Moser’s Garden Produce, and Linda Moist of Clan Stewart Farm. Hear why they believe this market is a so important to the community. It’s great to have another way for local food producers to connect with consumers—another promising sign of movement toward sustainability. I can’t help but notice the irony of the venue, though: a brand new expanse of asphalt that also hosts a huge chain hardware store and a huge new bank. Jay Young is my cousin! Go Jay! Woo!